Our Thai translations have the solution to your all your needs. As a professional translation company we guarantee peace of mind; you get your tip-top Thai translation when, where and when you want it. We can handle any request – we take on projects of any size, length, complexity, subject matter or format. Simply stated, we are your convenient one-stop solution. Isn’t life is complicated enough? Our translation service has been set up to offer our clients the most straightforward and hassle-free experience possible. Everything can be done online meaning a faster service, reduced costs and easy file management. Upon receiving your documents we send you clear quote. If you are happy we agree on a date for the return of your translation. You receive your translation via email or post. We provide a truly comprehensive translation service meaning that we can assist you with literally any translation related request. Thai translations of any size: from 50 to 500,000 words. Thai translations of any subject matter: IT, law, education, finance, etc. 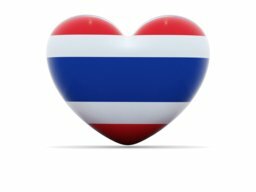 Thai translation in any format: emails, brochures, websites, business cards, etc. Thai translation into any format: our multilingual DTP service can provide you with artwork and typesetting. Your translation will always be completed by a fully-vetted, qualified translator at the apex of their field. All our Thai translators work exclusively into their native languages to ensure linguistic and cultural accuracy. In addition, we also boast a small team of in-country Thai translators that allow us local knowledge and expertise.